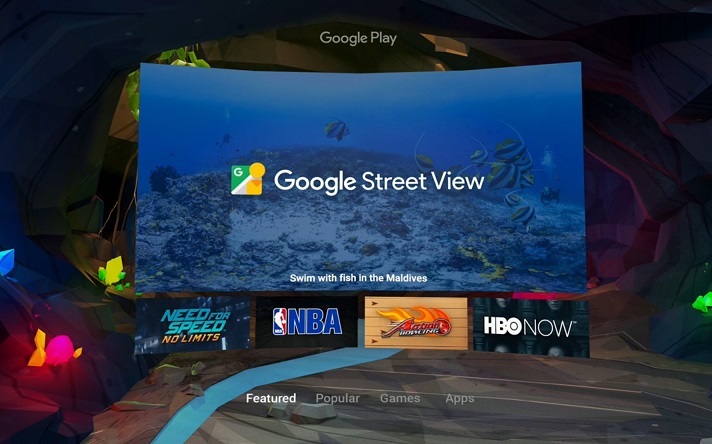 Daydream Virtual Reality By Google:VR now a days keeping it’s new market why not a uniform UI. Google finally resolve this problem at Google I/O by releasing a standalone app which has it’s unique UI and works with VR. Google also share blueprint how and what are necessary for next VR’s which include a headset and a controller to interact with it. Google have earlier have a cardboard box for VR called as Google Cardboard which is very cheap and reliable for user as Google sold over 50 million units of its and there more over millions of user who uses VR so Google have to target this sector with some punch as Google introduce it VR design and new UI. 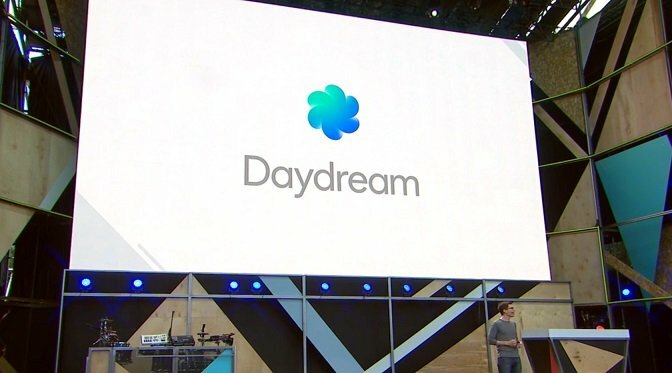 Google dubbed the UI as Daydream which the new platform for VR as if require some specification like Soc, less latency and and performance. As Google new Android N which is seventh instalment of Android has some API and performance to help run Daydream. It will also only work with a select number of Android N smartphones that will have special sensors and screens, supporting refresh rates to minimise latency and allow for a crisp, smooth VR experience as it necessary for user because if these things not match will create any serious issue for user. But with great experience comes small problem as Google has heavy task for creating a refine experience for user so they have to follow certain criteria. Developer have to adopt this new platform and build great apps which is more useable for day to day use and also entertaining. Phones are also selective which fulfil all criteria for Google. While Daydream revolutionises the way you look at VR as it has all things included in it so you don’t need another UI to experience VR as it include new Play store,Day Dream Apps and Google Apps like Youtube,Google Movies and much more. 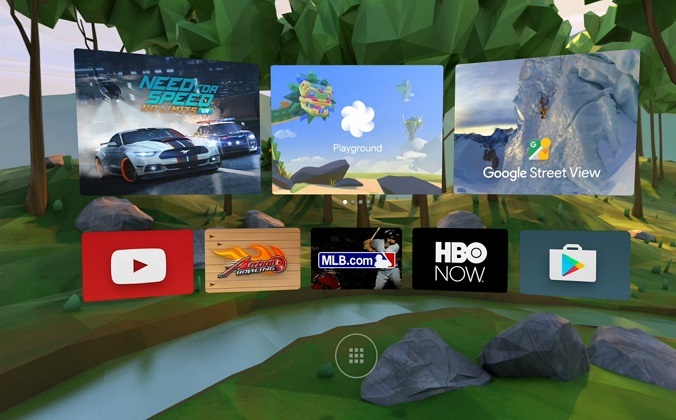 Daydream UI is like natural own world with it’s new home screen with all the related content apps and much more as it look some what identical to Oculus home screen. Daydream work with remote controller so user can interact with app and use it. There are many new thing to come to VR as from the screen it include new VR games like NFS No Limits and Apps especially for VR Google also puts it efforts towards VR by including new Google Apps like Youtube which look like a new world for watching Videos, Google street which have all the potential of Google street as like phone but this time it looks like your are there,Google Movies which creates immersive big screen experience for user. Google have stiff competition with many other manufactures in market like Oculus which also have there self establish UI for VR as Google said in I/O they keep every thing in their mind as they said it must be reliable and easily usable and Google VR frameworks is up to the mark.Apart from these Google has announced eight hardware partners who recently support Daydream including Samsung, HTC, LG, Xiaomi, Huawei, ZTE, Asus, and Alcatel. While more to join as this journey continues. From these companies some of they have there own VR as like Samsung Oculus VR,HTC Vive and so on. But there are little bit different between these as Google proposed model show kind of uniformity toward VR. The new VR framework and UI is a great step ahead toward creating new dimension towards VR. VR is next and emerging consumer platform and also becoming adopting by many companies. There are rumor that Cupertino tech giant’s Apple also working for this project AppleVR and hope to launch WWDC 2016 so it may include more stiff towards other companies who are making VR like Oculus or Google. Google will release this VR project at this fall so stay tuned for more updates.